You may remember Kristin Eldridge from a previous post. I did a branding package for her earlier this year. 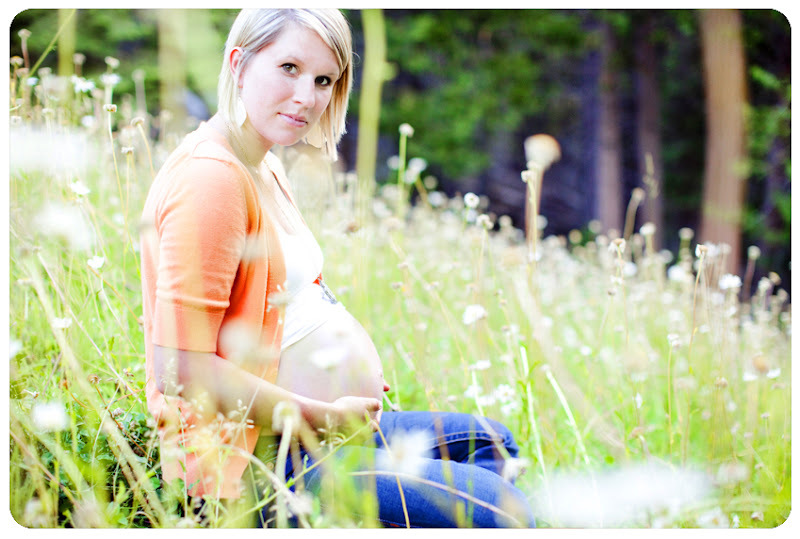 She recently came to visit and offered to do a maternity shoot with me and my husband Rich. We were so excited. She is so talented and it was really fun to get to see her work. Here are a couple of the photos. You can see more on her blog. So I have always wanted to make a watermelon salad so tonight I tested it out. Wow was it good. 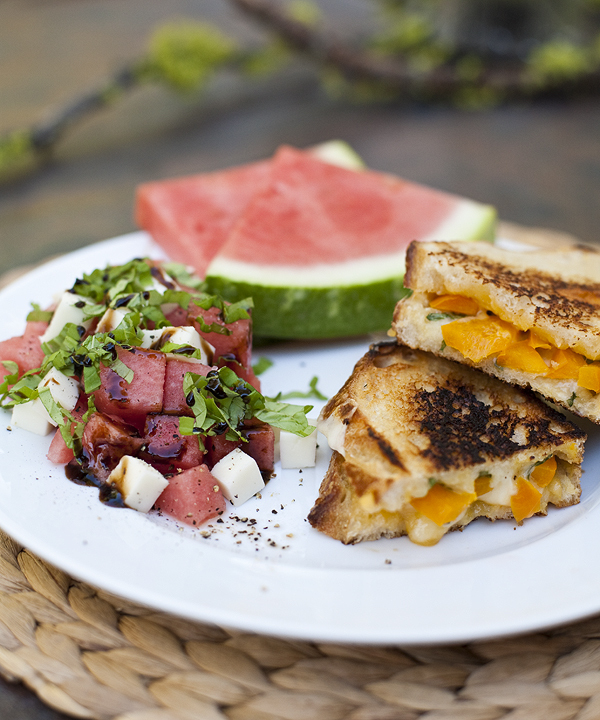 I decided to pair it with a grilled cheese with orange bell peppers. If you want to make this salad it is just watermelon, fresh mozzarella, fresh basil, sea salt, fresh ground pepper, and balsamic glaze from Fresh & Easy (if you don't have this you can reduce your own balsamic vinegar into a syrup). Got to love summer cooking.